How do I view Pages as a student? 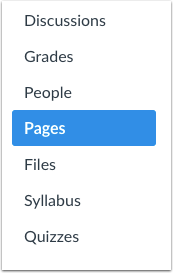 You can view Pages in your course through the Pages Index page or through Modules. Note: If you cannot view the Pages Course Navigation link, your instructor has hidden the link in your course. Additionally, you will also not be able to view the View All Pages button If your course includes a Front Page. Pages is designed to open to the front page for the course, if there is a front page selected. To view the Pages index, click the View All Pages button. The Pages index will list all the pages in the course. Click the title of the page you want to view. You may also be able to view pages in Modules. In Course Navigation, click the Modules link. 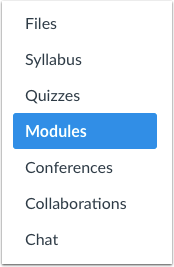 Each module can contain files, discussions, assignments, quizzes, and other learning materials the instructor decides to add. 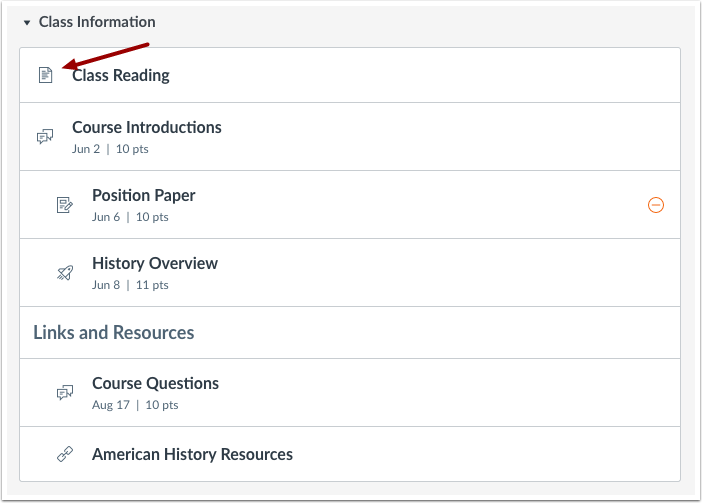 Course Pages are indicated with a document icon. Depending on how your course is set up, you may not be able to view module items that have a pre-requisite requirement. Previous Topic:How do I view course content offline as an HTML file as a student? Next Topic:How do I create a new page in a group? Table of Contents > Pages > How do I view Pages as a student?